Yup. In the next few weeks time, check your App Store (or check my blog for updates) to download the official Facebook App from Facebook Inc. It is said that Facebook app is already in its final stages of testing after being in production for almost a year. Last time, Facebook has managed to release iPhone Facebook app in time with the launch of Apple App Store in July 2008. 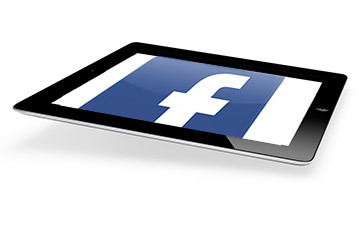 After more than a year of the launch of iPad, there’s still no official app from Facebook. What we have are third party App for Facebook like MyPad, Friendly, iFace and etc which I found that are not satisfactory. Those third party apps for Facebook are very buggy and are not fully optimized for iPad. ‘in coming weeks’ is a very vague statement. Hoepfully, the official Facebook App will be launched in July 2011. Let’s hope that Facebook app from Facebook themselves will give us the best experience of Facebook and iPad. Currently, I will still stick with using the Facebook website with Safari. The experience is way better than using the third party Facebook apps. P/S: Besides the official Facebook apps, it’s said that Facebook is optimizing its Facebook website to work better with iPad. One of the sources said that this is to supplement the user experience and not to compete with its official Facebook apps. Looking forward for facebook ipad app. Next story Maxis to offer Samsung Galaxy S II at RM799!!! Previous story Samsung Galaxy S II Malaysia for RM2099!! !